Do you help us to get Google Certification? Is it possible to do work from after I complete the Course? Yes We Provide Training Material. In Fact We Give You A Manual Of Printed Notes & 3 months access to Digital Library to enhance Your Digital Marketing Skills Further. 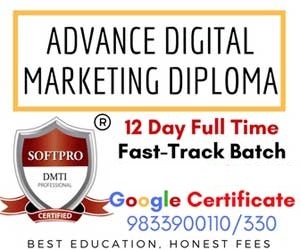 We Provide Digital Marketing Training In Mumbai. We Have A Total Of 2 Centres. Matunga West, Andheri West. All Are Close To The Train Stations. Walk-Able Distance.